Nationwide Note Buyers We Help You Get The Cash You Need Locked Inside Your Note! Do you want to buy a home but you aren’t quite ready? If so, a lease option may be the opportunity you have been looking for. Learn more about lease option properties and how they can help you reach your real estate goals! Using a lease option is an excellent solution for would-be buyers. Maybe you have a blemish on your credit or maybe you don’t have quite enough saved up for a down payment. Using a lease option, or rent to own structure will allow you to lease a home, with the option to buy or walk away after the lease term is up. The agreement itself is often similar to a rental agreement with an option to buy at the end of the term. That said, there are some key differences to be mindful of, such as your responsibility to make repairs, and a higher than average rent payment each month. You will always want to have a thorough inspection of the house done before signing the agreement. This will give you a heads up on any future repairs you will need to make. Some repairs are very expensive and you may not be comfortable taking on a property with such large issues. You should also have a professional appraisal of the house done. This will ensure that the price the seller is asking is fair, and will be approved by a lender in the future. You never want to skip an inspection or an appraisal just to get a shot at buying a home. Also, as mentioned above, you will be the one responsible for repairs as opposed to the owner of the home. You will also need to pay the property taxes according to some agreements. These extra expenses, plus the typically higher than average rent, can slow you down if you are saving to buy the property in the future. Keep these costs in mind before signing an agreement. There are several benefits to entering into a lease to own agreement with a local seller. First of all, you will be able to find and secure a house before you have the down payment together or before your credit will qualify for a loan. These are both things that should be taken care of during the leasing period of your agreement. You will also have a locked in price, so if the market goes up over the course of the agreement, you will only need to pay what was agreed upon originally. Just watch the market beforehand. You don’t want to enter into an agreement in an area where homes are actually decreasing in value. Another great benefit is having the ability to “test drive” the house. You can really get a sense of what it will be like to own, before actually being the owner. You can determine your monthly maintenance and ownership expenses, and take a good look at commute times and area schools. You will be able to make sure that the neighborhood is really right for you, eliminating any chance of buyer’s remorse once the sale date arrives. You will also have the peace of mind in knowing that you have the guaranteed option to buy the house. You won’t need to pick up and move at the end of the lease term so long as you are able to get the financing you need, as well as the down payment. Your credit should also be restored, allowing the buying process to run smoothly for you. One great trick is to find a property that has been listed for a while and purpose a rent to own agreement. They will not need to lower their price, and you will get the opportunity to buy a house you love. Ready to learn more about lease option properties in Albuquerque? Get in touch with Mountain View Investors, Inc. today! 505.404.1131! 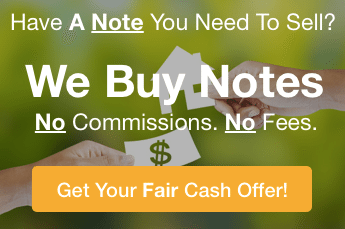 We buy real estate notes, mortgages, and other types of notes fast. Put your address and email below and answer a few easy questions on the next page to get a cash offer in 24 hours! What’s the value of your note? Get a FREE quote below. NOW!!! We are Nationwide Note buyers. Do you have a note you’re looking to CASH out? Get a free GUARANTEED cash offer on your private mortgage note payments. Your Free Report! Discover how to receive Tier One Level pricing for your Owner Financed notes. 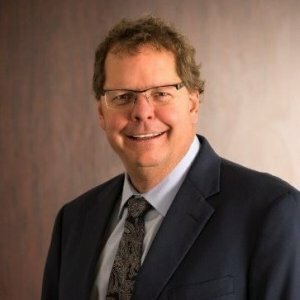 Robb is a great guy to work with when it comes to investing in real estate. 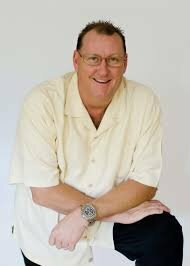 Robb is a person of high integrity with an intense desire to do the very best for his clients. How Do Lease Options Work For Your Albuquerque House?